Do you have excuses why you are not able to learn languages? It would seem that the vast majority of people who attempt to learn another language give up on that endeavour well before they get to an “acceptable” level of proficiency. Arriving at the decision to “give up” takes some time and usually involves the creation of an “excuse” which provides the justification for the decision. 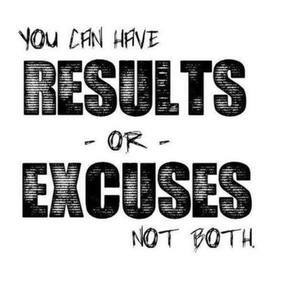 I believe there is some benefit to be derived at looking at excuses and the role they play so, if you ever get to that stage where you are considering giving it up, you can be clearer about the tricks that the mind can play and hence not be easily put off from reaching your goal. 1. It is too hard. 2. They have little or no skills in language learning. 3. Their memory is not up to it. 4. There are not enough opportunities or resources available. These 4 reasons, which can at times live in the subconscious, can cause us to look for excuses that help us to justify abandoning what we initially thought was good idea. It is not that surprising that these 4 reasons come up for many people. The reality is that if we have been given the wrong information, been taught in ways that only the few could ever utilise , or have developed disempowering beliefs about ourselves. So it is no wonder that so many people give up. If you look at what is available in bookshops and language courses, it is difficult to find places or people that could help set you straight. 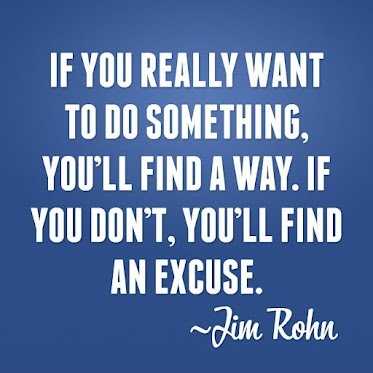 So what I would like to do here is to explore some of the common excuses that are given. This way, if you are thinking of giving it away, reflect a little upon the excuses that may come up. They may not apply to you but if they do, you may decide, after reading this article, to consider them a little more carefully than you might have done otherwise. It may appear so, but there can be many reasons for that. You may be going about it in the wrong way, using materials that are not well designed, and so on. Here are some ideas on learning grammar and what you could do to reverse this belief. You may well be but it surprising how one can fine time to do the things one enjoys. Is the problem that you are not enjoying the process, is it going too slow or life has thrown you a curve ball? With the advent of the internet, this reason has less and less validity. Sure some programs and classes can be expensive but there are many other ways to learn a language that don’t require you to spend much at all. You can read, use movies, hop on Skype, and talk to people who speak the language you are are learning. This is just for starters. Learning to listen AND understand native like speech can take time. We all possess what it takes and are all capable of improving, if we do what is necessary. An essential aspect of that is improving our listening skills. This is of course disheartening and why wouldn’t we give it away if this kept happening. The thing to realize here is that by changing what you do, your results can improve. The problem is that many people persist doing the same thing and expect different results. As Albert Einstein once said, this is a definition of insanity. I have heard this excuse given by many people, whether the language is spoken in the country they are in or not. There are always ways, especially in this technologically connected world, to talk to people. The important thing here is to want to talk to people not regard the “exercise” as something I have to do. That attitude alters the the experience and gives it a possibility of something that can be enjoyed, not just endured. By making decisions based on better understandings of ourselves and the language learning process, we stand a better chance of achieving the goals we have set ourselves.